California drunk driving laws are complicated, especially if you are in the San Francisco or Bay Area. If you are charged with a DUI or DWI California offense, a good lawyer is important to help you in your defense. Experienced DUI lawyers are specialists in drunk-driving cases. They try only such offenses, and know the courts and the laws well. There is also a National College of DUI Defense where you can search for Northern California DUI attorneys. A good DUI lawyer can guarantee you more than just arguments in court. Since California drunk driving laws are complicated, a good attorney can pick holes in the case against you and, with some technical help, he or she can get you out of the charge with a small penalty. DUI statues and CA DUI Laws vary according to the degree of the charge and your driving history. If you have a DUI charge within a seven-year period, the court can punish you under California Drunk driving laws. Except for this, the reputation of your lawyer and the evidence against you can significantly swing the case. If you are found guilty of the charge, the court can fine you about $1,250 and give you a 3-year informal probation. First-time DUI offenders can be let off more easily. First-time offenders also end up attending a First Offender School, the duration of which depends on your blood alcohol level. California Drunk Driving laws also distinguish between drunken driving and recklessness. If the charges are reduced to recklessness, the penalties are much less severe. Another aspect of DUI defense is the DMV hearing. The DUI lawyer will have to stand for you in this separately. The DUI trial and DMV hearings are separate, and you might end up with a suspended license from either trials or both. 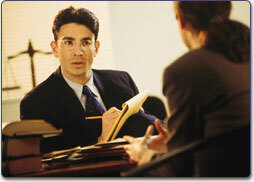 Again, a qualified DUI attorney is essential for the DMV hearing as well. If you have been arrested for a DUI (driving under the influence) or Felony DUI In California you should meet with one of our Northern California DUI defense attorneys at once. We have experience standing for clients in DMV hearings, DUI and California, and are ready to stand for you. In California a person is looked at as legally intoxicated if his/her blood alcohol level (BAC) is 0.08 or above. The amount of alcohol in a person's blood and how it is processed is dependant on many factors including the person's gender , weight, alcohol tolerance, and medical history; also the amount of food and drink the person has consumed. The effects of alcohol are different in each person, although some common symptoms of excessive alcohol amount used include slurred speech, decreased attention span, drowsiness, and blurred vision. If you are found guilty of a DUI In California you will have to face serious legal penalties, such as a revocation or suspension of your drivers license, meaning will not be allowed to legally drive during a certain time. The length of the suspension or revocation or your driving privilege can be a few months to a few years, depending on your DUI In CA situation. Our Northern California DUI lawyers will gladly help you with any of your questions regarding this. Our Northern California DUI attorneys know that a DUI is a difficult and disheartening circumstance for a person to go through, and may be overwhelming. You do not have to handle this by yourself; our DUI defense lawyers can help you. We have years of experience successfully standing for people who have been in similar circumstances, such as a DWI In California, and are skilled in strategic DUI defense. Remember, a conviction for either charge, including a Felony DUI In California, can remain on your record for seven years; any future arrests for DUI in California within that period will lead to the suspension of your license and mandatory jail time. If you have been arrested for driving under the influence or DUI in California , you should contact an experienced and qualified DUI California attorney right away to protect your rights.